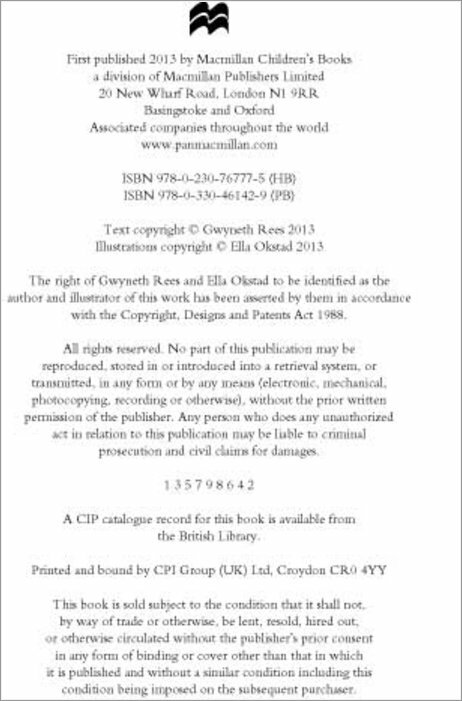 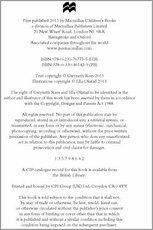 Second in the brilliant new series by Gwyneth Rees. Want a birthday party with a bit more spark than cake and candles? 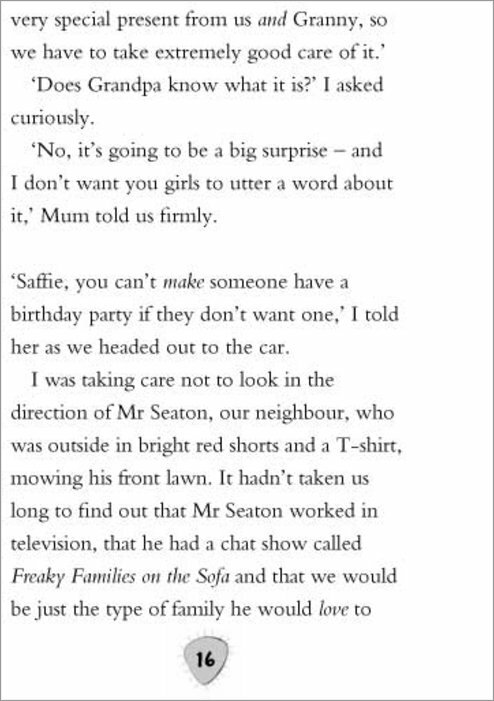 Then call Saffie. 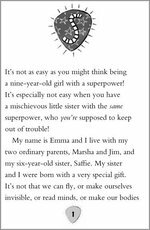 She’s just your typical naughty little sister – but with superpowers! 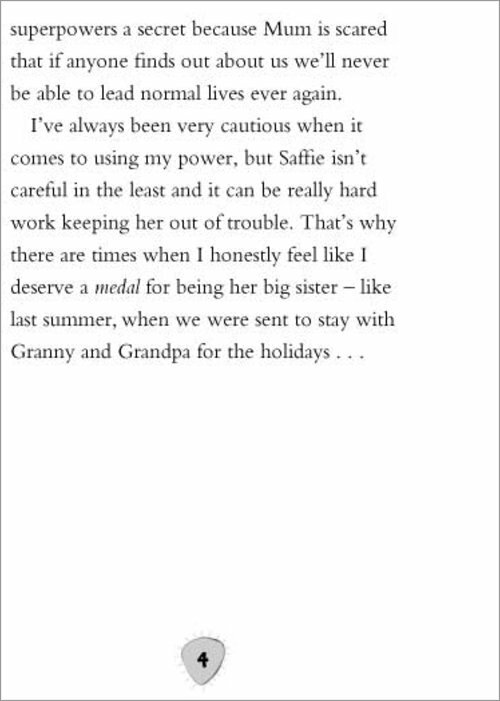 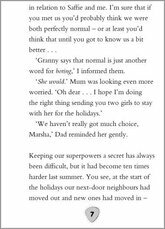 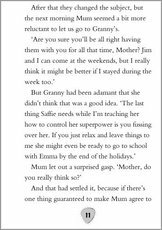 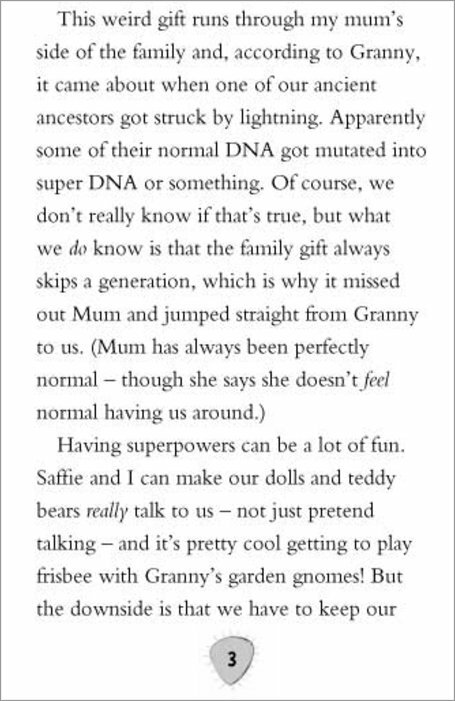 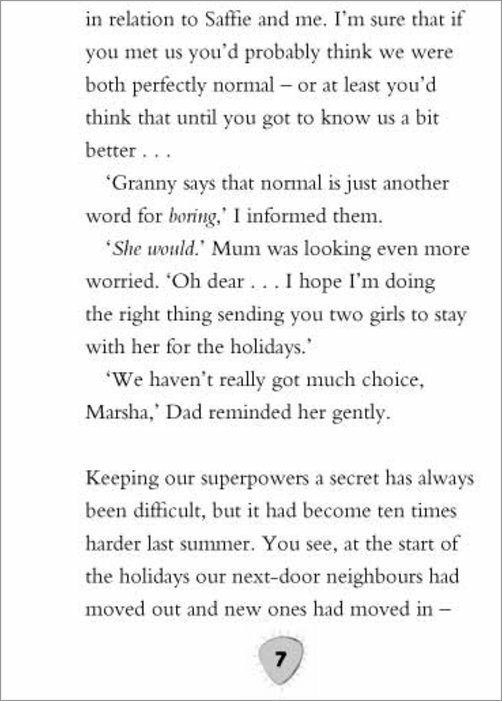 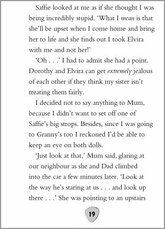 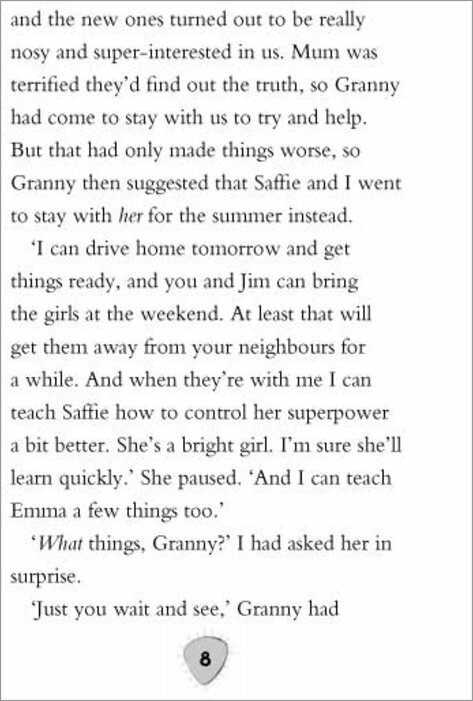 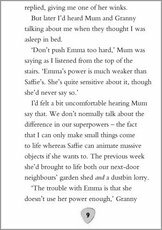 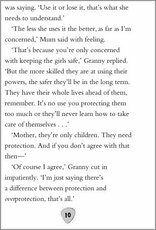 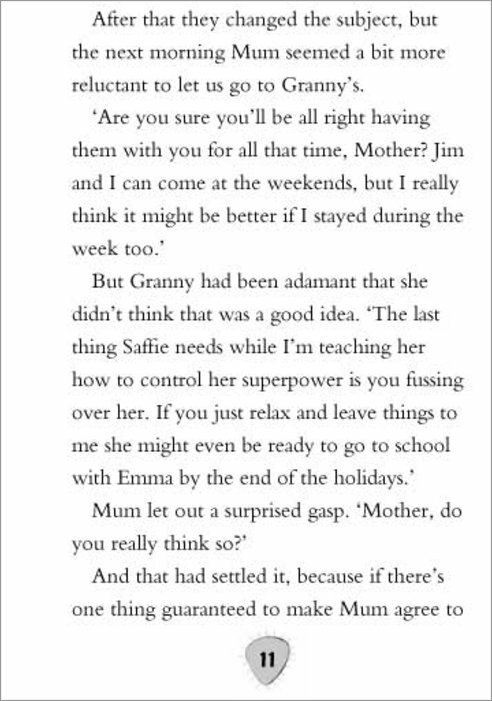 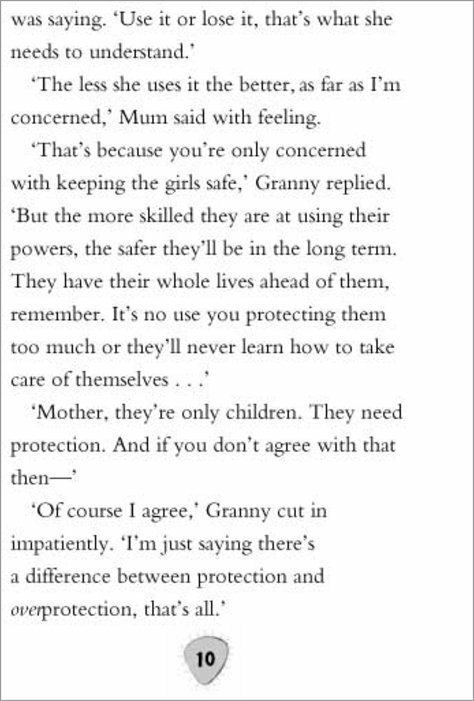 Emma and Saffie are going to stay with their grandparents for the summer, learning how to use their superpowers. 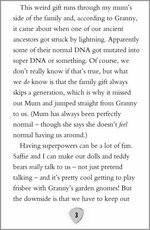 Grandma has powers too, but Grandpa doesn’t… and he definitely doesn’t like the gnomes doing the gardening, or the washing-up doing itself! 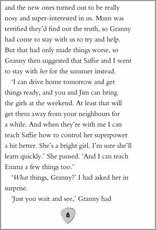 As the summer passes, the girls are having lots of fun. 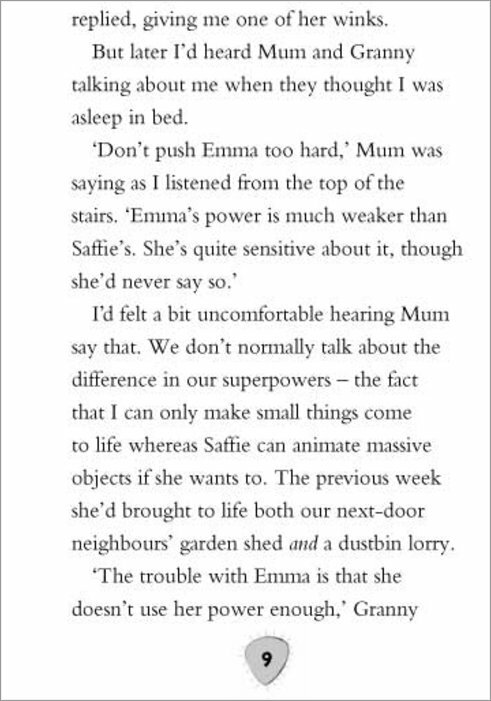 Emma even brings a whole doll’s house to life, and bakes tiny cakes in its kitchen. 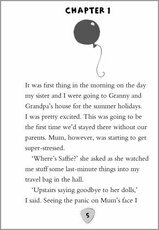 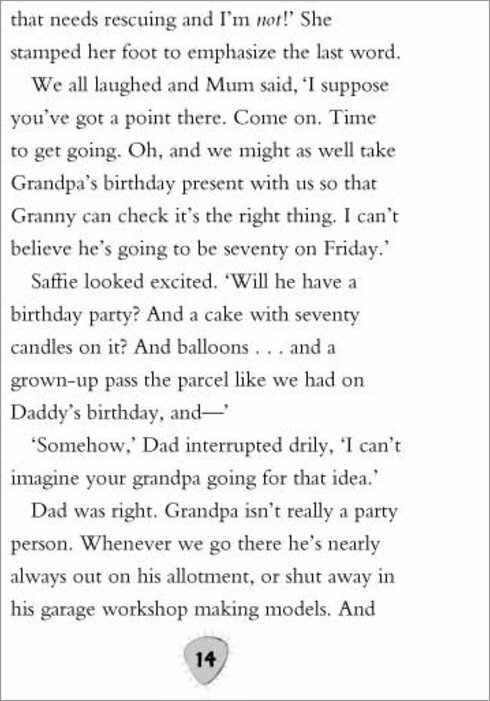 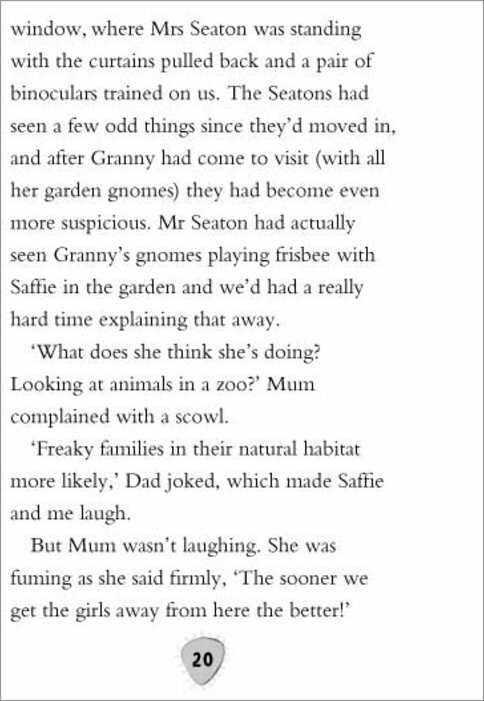 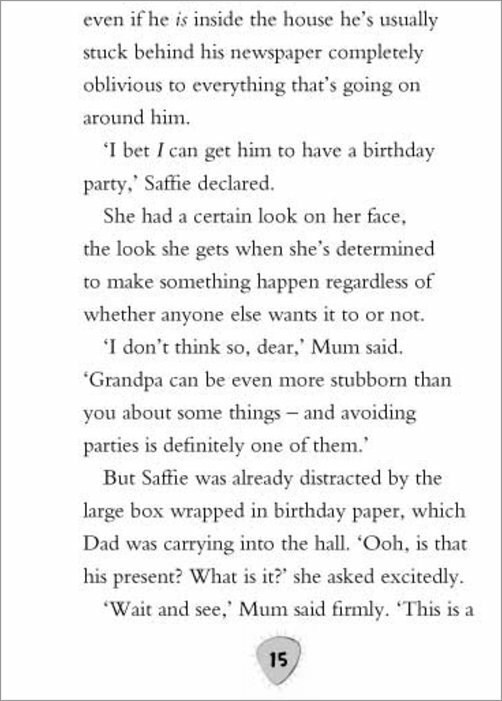 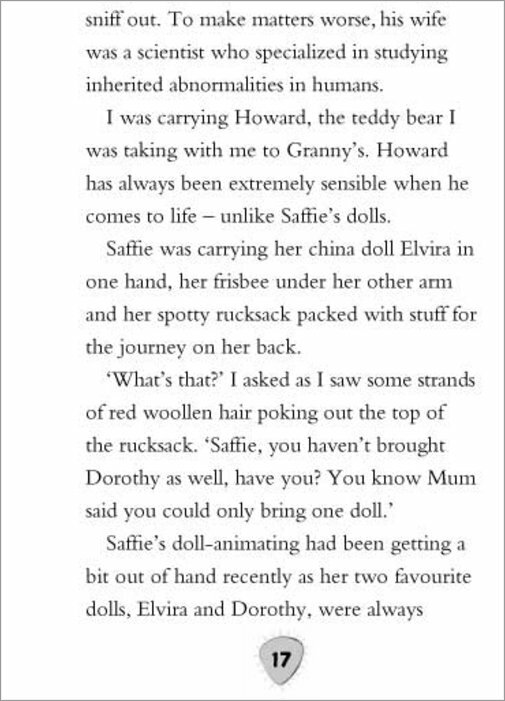 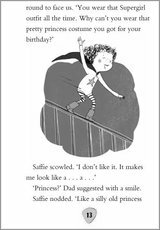 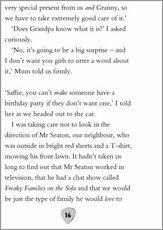 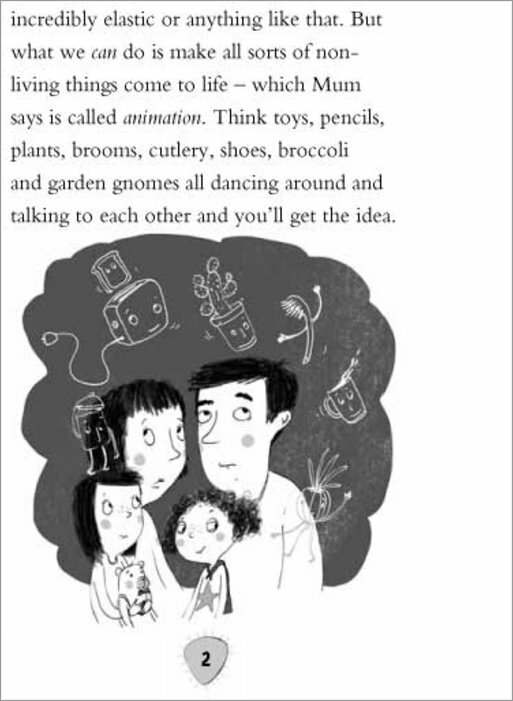 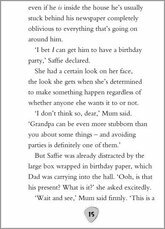 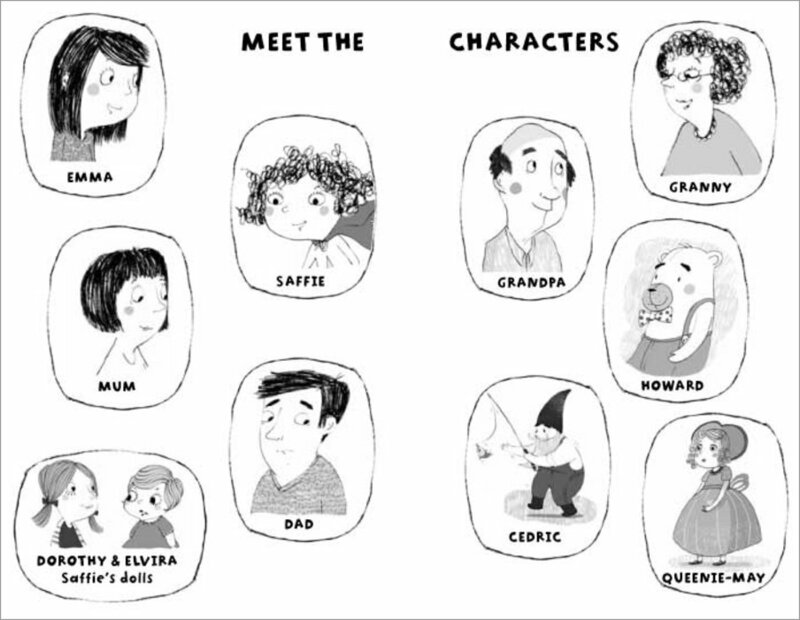 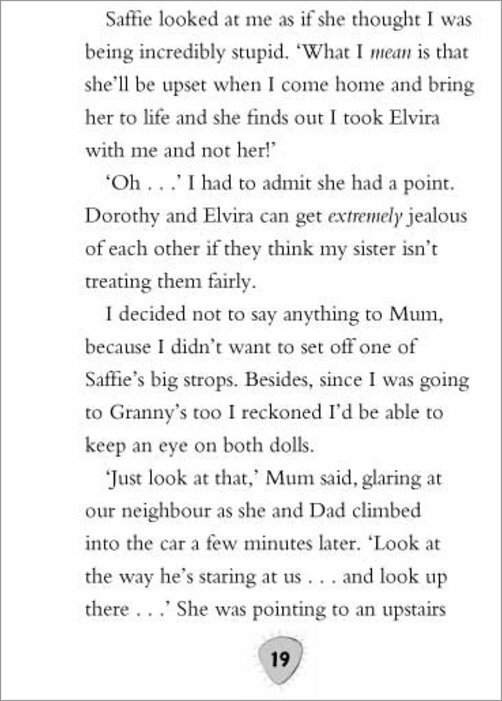 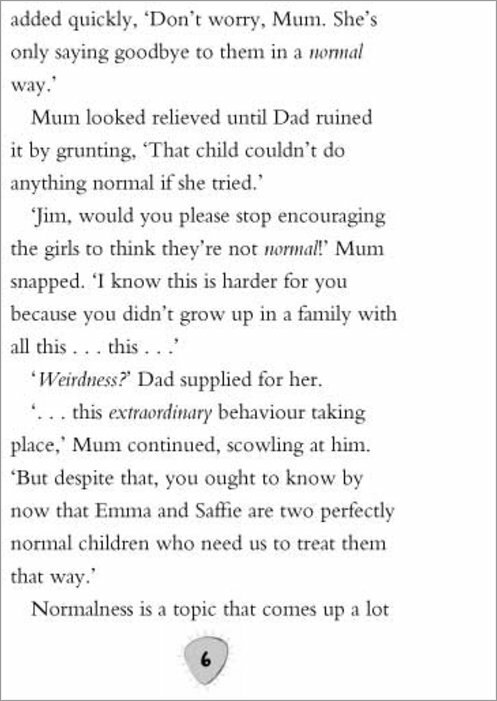 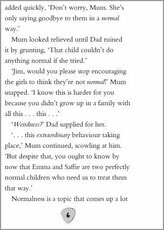 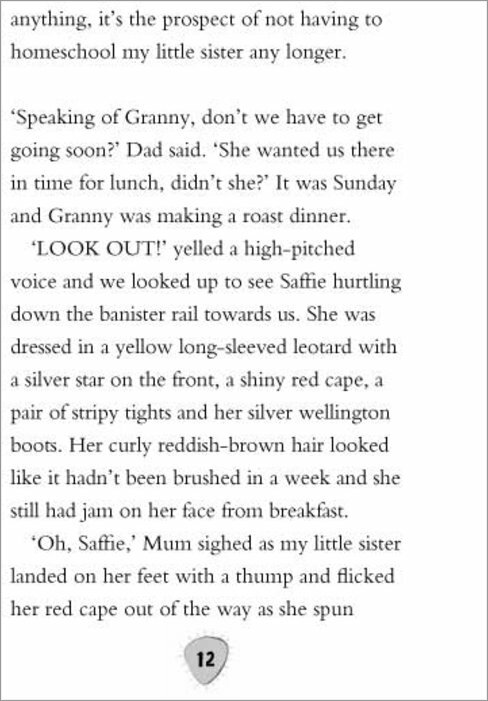 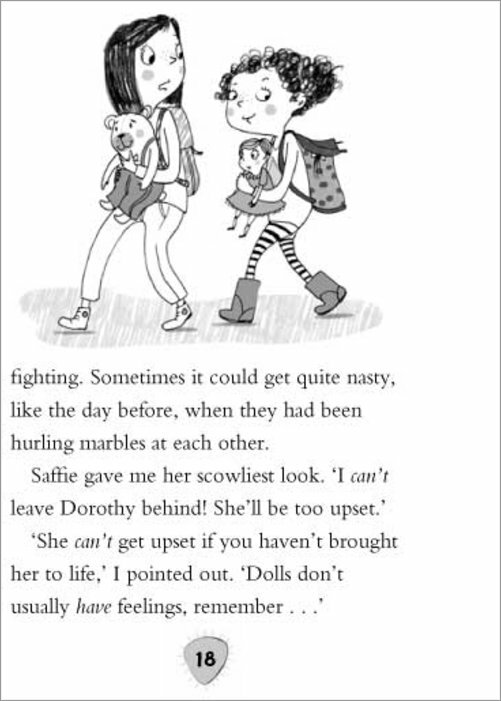 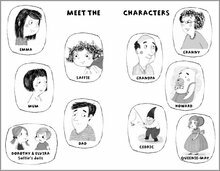 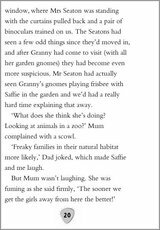 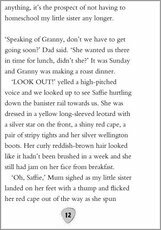 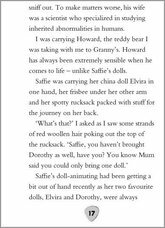 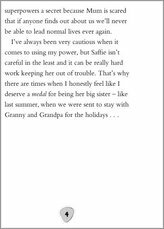 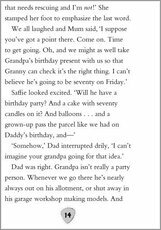 But all Saffie wants is to cheer up Grandpa – so she decides to throw him the best birthday party ever. What could possibly go wrong? 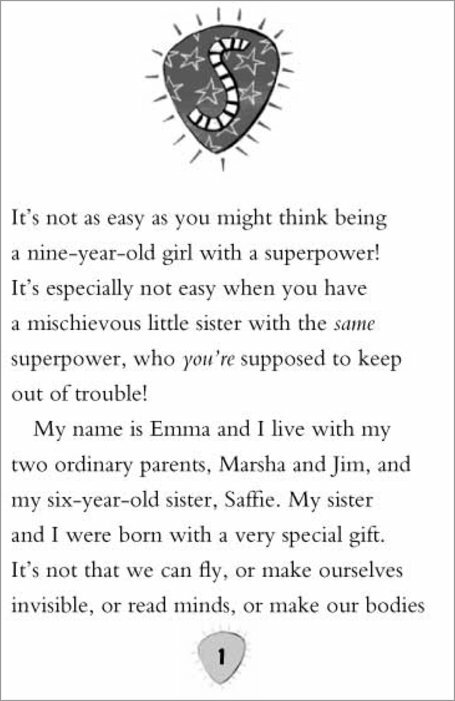 Use your best colouring and accessorising skills to create your own My Super Sister doorhanger. 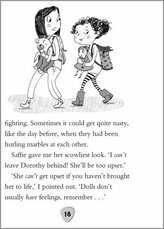 How well do you know your best friend or sister? 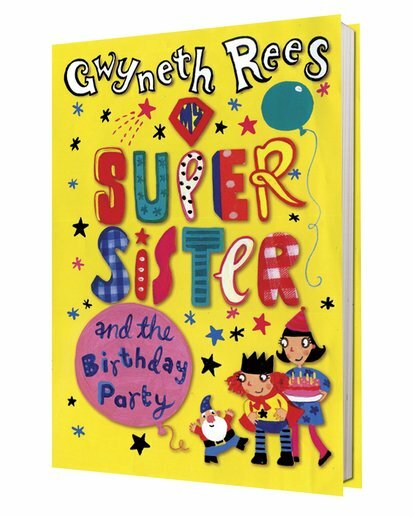 How many My Super Sister words can you find in this supa mega wordsearch?